New items on my website: Vintage inspired "Le Chat Noir" necklace. This beautiful Art Nouveau poster has been immortalized in a polymer clay pendant (which I hand-shaped). Held on a floral filigree brass base, it is dangling beautifully from bronze filigrees and jet-black czech stones. Gorgeous necklace. What do you think? New items on my website: 1930s style scoop neck dress with trumpet skirt. 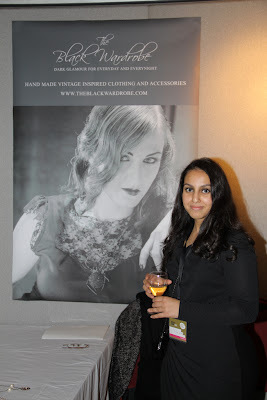 Remember my black 30s style dress with trumpet skirt? Here is the link, if you can't remember. Well, I have modified the design slightly by making the neckline scoop neck (instead of square) and in purple! Isn't it gorgeous? I think I am going to make it in red, too. I love red. New items on my website: Crystal rainbow leaf necklace. I have been updating my Facebook page with the new designs I have been adding on my website and I forgot to include them here. So, if you are not on Facebook, you can see what I have been making and you can tell me what you think. So this post is going to be about the Crystal rainbow leaf necklace. This necklace features a stunning leaf-shaped crystal pendant that I have adorned with a beautiful floral filigree. Very delicate and so so sparkly! Pictures don't do any justice. I took the pictures without flash so the colours would be shown better. It is quite difficult to photograph such a massive array of colours. Bermuda blue: a rainbow of tropical colours that range from shades of blues and greens to purples, with slight hints of pink. Autumn Green: warm autumnal shades of green, pink and reds with hints of blue. Which one do you think is more beautiful? I am still undecided. If you are into Goth and never heard of Gareth Pugh you should really check him out. He is a Goth, no doubt about it. His fashion is always dark and very alternative. I would put him in the same group as Ann Demeleumeester, the old McQueen and Riccardo Tisci. They are all dark romantics and their clothes (often black) reflect that. If you are, like me, a fan of mr. Pugh then you would recognize his style in the make up line he has created for MAC. It is very dark, metallic, cold colours and the packaging is very minimal, dark (again) and geometrical. Quite ambiguous actually (not feminine at all but yet not masculine). “With a collection that goes from strong, deep and mysterious to light, fragile, and ethereal, I think we’ve created a truly versatile collection that hopefully you’ll be inspired by and want to wear.” (words of Gareth Pugh). It has been such a hectic two months that I realized I haven't had the chance to post anything during the whole of September!!! Ouchh! I have been busy both for personal reasons as well as professional ones. Firstly, I need to talk about the Liverpool Design Show because is just round the corner, happening this weekend coming! 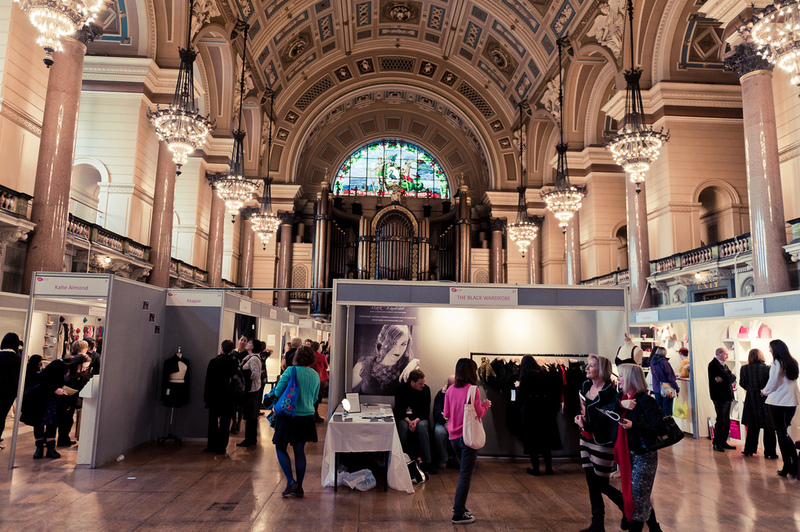 The Liverpool Design Show is a show taking part in a series of design related events happening in Liverpool city. 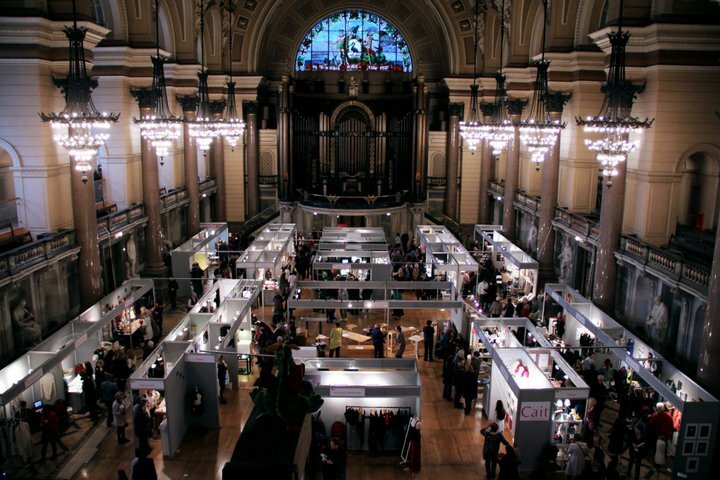 This show is specifically a trading show, where you can go and buy from designers of all sorts of disciplines: fashion, furniture, decor, jewellery...etc. I will have my stand as I did last year. It is open to the public (not just trade) and the entry is £5 to get in. These are some pictures from last year. I had a massive stand and didn't think of purchasing additional lights so it looks VERY gloomy, and before you start thinking: hmmm, can't be that bad?... NO, it is not gloomy-charming as you might be imagining.You can see my massive poster. 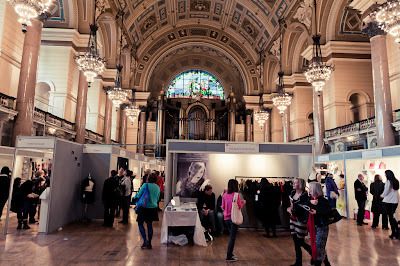 This picture below is a panoramic of the room, called St George's Hall. You can see my stand again, big and gloomy. The pic was taken by photographer Matt Ford. And this is me, holding the glass of white wine as requested....I think it was taken by Matt Ford again.